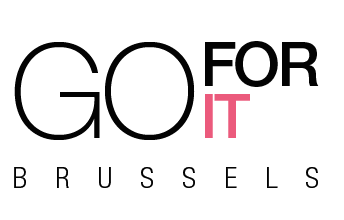 www.goforit.brussels, www.internshipsinbrussels.com is a site operated by Go For It sprl (“We”). We are a Belgian business registered in Brussels under CBE number 0651 804 168 and have our registered office at 135-139 rue Defacqz, 1060 Brussels, Belgium. Our main trading address is at the same address as our registered office. Our VAT number is BE 0651 804 168. You must not modify the paper or digital copies of any materials you have printed off copied or downloaded in any way, and you must not use any illustrations, photographs, video or audio sequences or any graphics separately from any business text. You have made whether modified or unmodified. [Services] provided through the use of our Website shall be governed by the Terms and Conditions [Insert link to the Terms and Conditions]. Contribution as well as to its whole. You may link to our home page, under the condition that you request and obtain prior permission by sending a request to jenny.palumbo@gmail.com and provided you do so in a way that is fair and legal and does not damage our reputation or take advantage of it, but you must not establish a link in such a way as to suggest any form of association, approval or endorsement on our part where none exists. The Belgian courts will have exclusive jurisdiction over any claim arising from, or related to, a visit to our Website although we retain the right to bring proceedings against you for breach of these conditions in your country of residence or any other relevant country.